This bajaj elegance 1200 mm white ceiling fan has Angular design provides better performance with improved aerodynamics and better aesthetics. 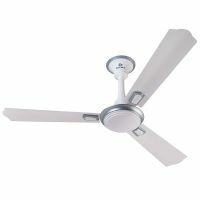 It has high speed provides high RPM ceiling fan > 360 RPM. 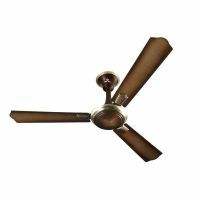 It comes with wide blades improve air delivery with metallized ornament and body ring provides the bling to your fan. To Recieve updates and possible rewards for Bajaj Elegance 1200 mm copper (Brown) please sign in. To Recieve updates and possible rewards for Fan please sign in.